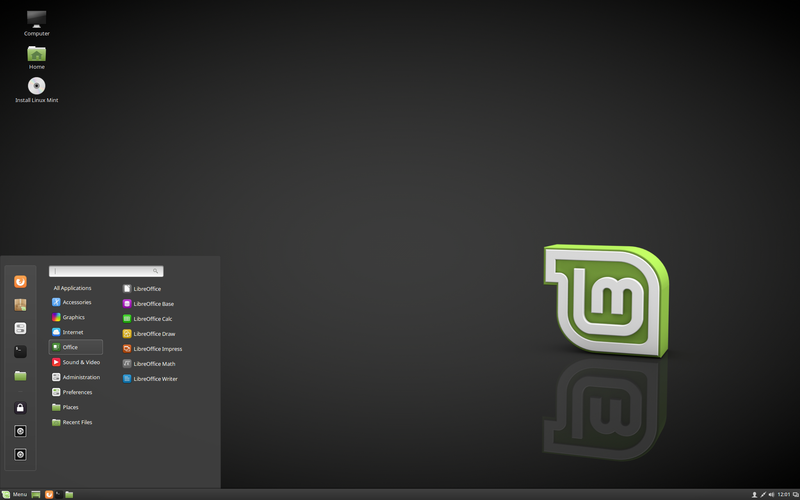 The team is proud to announce the release of Linux Mint 18.1 “Serena” Cinnamon Edition. “What’s new in Linux Mint 18.1 Cinnamon“. It will also be possible to upgrade from Linux Mint 18. Upgrade instructions will be published later this month. Next Next post: Linux Mint 18.1 “Serena” MATE released! What a Christmas gift! Now downloading ISO images for rescue USB. If I were a journalist it would very interesting to interview Clem and the team to understand what drives them to do what they do. If God feel this, he knows nobody dosnt believe him anymore. Sometimes it takes 1-2 minutes cinnamon to start after login. Cinnamon process takes some hundreds MBs after that. Simply the best! Thank you very much for release! Thanks a lot for Clem and team for releasing Linux Mint 18.1! Bom dia estou muito contente com esse novo lançamento ,como sempre Linux Mint maravilhoso. So tenho uma sugestão Clem,quando vocês iram mudar o jeito de tratar as janelas no painel do Cinnamon ,e para ficar tipo a do windows-7/8//10/painel do Unity, para abrir as janelas no mesmo ícone ? e que esta parecido com a do windows XP. Tem um app chamado windowlist,mais ja não funciona no Mint-18.1. Scince quite a long time, my hp xw66400 workstaton with a mint cinamon 8the one before sarha, rosa)does not awakev from the sleep state. I had trouble even before, once I ried it, but after sometime it worked. Now, oit dosn#T . am hacked scince ywears in an almosr incedivble way.all computes are hacked, anywhr I write something – even intenetcafe and univesitues. Thank you for the early Christmas present! I grabbed an .iso a couple of days ago and installed it on my test computer. As expected, everything looks great. I am looking forward to doing the upgrade on my production machines once that option becomes available. Great news I am using Cinnamon version right now but I have a problem. Whenever I try to use Nvidia Binary Driver, Cinnamon interface won’t launch. Is there any solution for this ? Edit by Clem: Hi, we added a section in the release notes for Optimus cards. The first session upon reboot is always broken. You need an extra logout/login sequence after you reboot to fix the issue. Thank you Clem and the Mint Dev Team for your hard work and dedication! This is a great Christmas present to the world of Minters. I just upgraded yesterday and one thing I noticed is that for some reason, 18.1 runs and boots faster than 18. I’m referring to Cinnamon. What a time to be alive. Can’t wait to update my 18 installs to 18.1 baby ! Glad to see the feature “Bumblebee users can right-click any program in the application menu and launch it with optirun by selecting ‘Run with NVIDIA GPU'” but i’m wondering if this will launch only an instance of optirun and what if i wanna use primusrun instead of optirun. Edit by Clem: Hi, it does run optirun indeed. We can check for primusrun and run this instead I guess. Sheesh, that’s not fair. Those of us who did a fresh install of 18.0 have to wait until “later this month” for the upgrade, but BETA users get it straight away? That’s hardly “released”. “Released” means that EVERYONE can have it, not just beta users. -Booting takes long time sometimes- Maybe because of my new nvme drive? -Cinnamon loads sometimes very long after boot as someone described before. -Might not be related to Mint but my Broadcom 4366 WiFi device does not work.. I have installed English version LM 18.1 with support of Russian language but in LibreOffice by default Ukrainian! Wonderful! Hats off to the hard working productive and creative “Minty” crew. Time to make another donation to the cause! Best way to say Thank You for a job well done! How does it affect the KDE desktop? Oh! What a wonderful news!! I’ve waiting for ‘Serena’, and now she is finally here.. Thank you Clem and the rest of the team. And thanks again for creating such a wonderful distro. Linuxmint cinnamom is really beautiful, version 18.1 is a Christmas gift and I am very grateful to the whole Clement Lefebvre team for this excellent distribution. Greetings from Mexico !! can i upgrade to 18.1 version via update manager?? (gst-plugin-scanner: 28144): Clutter-WARNING **: Locale not supported by C library. Using the fallback ‘C’ locale. Any idea what went wrong or what I could try next? Same problem with 2 different DVDs burned from different download files. I would be very thankful for any suggestions. What about the update to 18.1? Above all else, take thanks for your work. In general, the system as normal, stable working. There are no serious visible errors. ERROR uncleared pch fifo underrun on pch transcoder A. Due to which Nvidia Optimus works only with the free Nouveau driver. [ERROR] Aborting because fallback start is disabled. During the proceedings it was found that in the folder with the kernel there is no folder with the driver nvidia (in kernel with 4.4* for 4.9* it too is not present); and nvidia module itself is not found and therefore not loaded. Any well-known internet forums methods do not solve the problem. 4) Nvidia Prime is working with the same bug: when you restart with intel is an error, and then restart – 2 graphics card are work, and switch to one of them, then it is impossible. After switching off and on everything returns to normal. When you restart with Nvidia – will be all right. 6) All the same beaten problem of file managers (nautilus, nemo, caja, thunar, pcmanfm): when you try to change the permissions on folders and files – the programs are doing it wrong, do not all or nothing do. Only two file managers do all this correctly: dolphin and dolphin4. Great job! Thank you very much. Merry christmas! Edit by Clem: Yes, it takes memory, we want to improve it, and so by default it’s disabled. You can enable it in System Settings -> Privacy though. Is there a way to upgrade from 18.0 via editing sources.list or similar? If yes, how? Anyway thanks a lot to the whole mint team! Thank you Clem for your answer. I`ve found. I am a newbie (but it is not the only problem, the second problem is my English 🙂 ).I want to thank you and all the team for linux mint distro and specially for 18.1. Yet again the Mint team delivers. Thanks, a great many thanks. Looking forward to the upgrade path. Wonderful! Thank you very much! Merry Christmas and Happy New Year! et bien merci pour cette excellente distribution.J en ai testé de nombreuses mais celle ci est celle que je conserve, et haut la main. Tellement bien que je l ai installé sur 2 Pcs dont 1 portable.Tout fonctionne tres bien pour une fois et cela fait plaisir. Encore bravo .Si vous faite encore mieux, je passe le reste des pcs sur mint et j’abandonne windows. Any idea when the upgrade procedure from lm 18 will be available ? Merci Clem pour ton travail. I have an idea for your future release announcements. You could replace “Almost all computers sold in the last 10 years” with “Almost all computers sold since [insert year here]”. I’m a bit annoyed that you can go back in time every year and delay the first 64 bit cpu release, but I can’t meddle with time in any way. Many thanks to Clem and all the team. Coverflow (3D) ALT+Tabbing causes freezing issues with secondary displays on 18 to my knowledge. I find Coverflow to be the most useful of the alt-tab animations as I can see precisely what’s in each window when swapping through them, so I do hope the issue is at some point corrected. Not 100% sure, but I believe it may have also resulted in blank TTYs, but that’s a big MAY. the files sha256sum.txt and sha256sum.txt.gpg cannot be downloaded because no connection to http://ftp.heanet.ie can be established. Could you have a look at this? Edit by Clem: Thanks Andy, it’s probably temporary. In the meantime please don’t hesitate to use the mirrors https://linuxmint.com/mirrors.php, they all contain these files as well. How about Global Menu for next Cinnamon release? Thank you Clem and team for the wonderful Christmas gift. Merry Christmas and Happy New year in advance !!. I am unable to download the sha256sum.txt and the sha256sum.txt.gpg from the http://ftp.heanet.ie server, even after trying this multiple times for past 1 hour or so. The FTP server is not reachable. I do not want to install Mint 18.1 without the checksum verification. Please can you look into this as it could be affecting many users. Edit by Clem: Thanks, the verification page now points to Gwendal’s mirror. It links to the files directly for your convenience but you can find these files on all download mirrors, alongside the ISOs. The panel-applet “Window list with app grouping” is not working fine with cinnamon 3.2.
same thing as Panks103, problem with the server for download sha256sum…trying for hours !!!!!!!!!!! i have 5 machines upgrade from 18 cinnamon via source changing to 18.1.
but on 2 32bit systems, the screensaver login don’t work. on the 64bit systems no problems. Just downloaded the ISO and running a live session. Downloaded the media codecs and checked Firefox. Plugins show Flash ver24 installed. How is this possible? I thought Adobe’s last version for Linux was ver11. Quite surprised. Previous versions of Mint including the beta I was using the freshplayer plugin with the Chromium pepper flash installer which worked quite well…looks like I will not have to do that anymore. This release is rock solid in live mode and can’t wait to install it on the hard drive. Great work Clem and the team! Same as Varun post no:57, I too had the panel-applet “Window list with app grouping” and after installing 18.1 it Cinnamon was not working correctly, restart too was very slow. Saw some kernel panics too. I rebooted from 18.1 live usb and then deletec the panel-applet “Window list with app grouping” manually and then rebooted. My laptop booted fine thereafter and now its working wonderfully. Félicitation Clem et toute l’équipe Linux Mint. Votre distribution est la meilleur de toutes celles que j’ai essayées ces dernières années. J’ai utilisé 17.1 et 18 cinnamon avec mon vieux HP pavilion dv6 acheté en 2011 sans aucun problème. Je viens de faire acquisition du Acer Swift 3 et J’ai quelque problème avec Mint 18.1 cinnamon. Quand je lève l’écran du portable pour sortir de veille, mon clavier ne fonctionne pas je dirais 1 fois sur 3 sur la nouvelle fenêtre de veille. Je dois alors redémarrer ce qui n’est pas très long avec un SSD. j’espère que ce problème sera réglé. Il y a aussi mon wifi qui ne se connecte pas 1 fois sur 5 lors de la sortie quand j’accède au bureau. La aussi je dois redémarrer. Continuer votre bon travail. First boot, I could not change any yes/no settings, if I clicked on them they just went back to the original choice. Cinnamon bottom panel and menu fail to load. Firefox started on its own. Warning popped up of no disk space available (USB is 4GB). Multiple splash screens came and went, then disk space warning, then I pulled the plug. Been running 17.3 without any problems for over a year, guess I will have to wait a bit longer . . . I just finished a few minutes ago a fresh install of “serena” 18.1 and the task-bar (panel) is there but doesn’t work. I tried to create another one new, but when you have to select the position in the window you click and nothing appends. I have rebooted several times but it’s always the same. This update is great! Fixes some problems with the beta issue. But today I encountered a problem: I installed Grub2, but it does not show up in any of the menus! Would the default Linux Mint installation please install Unicode 9.0 so when Thunderbird receives an iPhone email, the emails will display correctly with Thunderbird. It would seem appropriate to add support for the latest releases version of Unicode in the November/December release of Linux Mint as new versions of Unicode seem to be released annually in June. Unicode 9.0 is *not* supported in Linux Mint 18.1? Unicode 8.0 is supported in Linux Mint 18.1? Unicode 7.0 is supported in Linux Mint 18.1? I’m very happy to report that you all have outdone yourselves again with the release of LM18.1 Cinnamon. It runs very smooth on my 2009 Acer Aspire 1810TZ and again fully OTB. I can not think of any other OS which could offer my the same experience nor can I suggest any improvements simply because they do not exist. I’ve just ordered an HDMI TV-Stick (BBEN intel X5-z8300 – 4GB – 64GB – AC-Wlan) from a popular Chinese webshop. They offer to install Ubuntu directly on their product but are hesitant and unfamiliar with LinuxMint. They will be shipping it to my with Ubuntu first with the de promise to see if they can adjust (I haven’t a clue what/why) LM18.1 Cinnamon and transfer a ISO for it later. If you like I can introduce/provide you contact-info. Just installed Linux Mint 18.1 Cinnamon edition and when I checked the system monitor upon a fresh boot up, it was using nearly 800Mb of RAM. Is this normal? It seems extremely high. PS. the new login screen seems unresponsive when the screen locks (I enter my password and hit enter but nothing happens). I had to click the “multi-user” login icon to use the older looking login screen. Is this a bug? I could update my mint 18 to 18.1 already via updater. It was less than 2 minutes work. Edit by Clem: Announcements on the way. After fresh install, update and dist-upgrade + a few other programs the mint 18.1 gives black screen + cursor after I log in. I am on a Dell latitude e6320 laptop with core i5. Reverting back to mint 18 because that version worked without problems. Clem, very good work with the Mint. But one of the missing native settings is the grouping of windows. The “window list with app grouping” application is not working on version 3.2 of Cinnamon. Suggestion, to incorporate this into Cinnamon, please. Edit by Clem: We’re planning to get involved in the maintenance of 3rd party spices (applets and all) soon. We’ll have more new on this early next year. On both 18 and 18.1, shutdown time has been inconsistent. It can either be immediate or waits a minute and a half. The “update” option is not showing in Mint Update Manager 5.1.0.3. Why is that? Running Mint MATE 18, 64-bit. Edit by Clem: You need to update both mintupdate and mint-upgrade-info and make sure your edition of Mint 18 is Cinnamon or MATE (this is specified in /etc/linuxmint/info). Downloaded the 64 bit Cinnamon version on the day it was released. Installed under VirtualBox, no problems at all. The VB extensions fix graphics running in software emulation & also allow the full gamut of screen resolutions. My ONLY point of contention so far was being surprised that doing the system update was more than 440MB of download! Just curious that so much has changed. Could these updates be incorporated now, it would save download bandwidth on your servers & mirrors. Anyway, another BRILLIANT release! Keep up the excellent work & Merry Xmas to all. I’m looking forward to using 18.1 over the holidays & beyond! Exactly the same problem as djme n°75 and ehtron n°61 !! The auto-screen rotation on my Lenovo Yoga 900 13ISK is not working. Do I need to activate I somehow? Edit by Clem: Hi Richard, we’ve got the rotation support working on Cinnamon but there’s still a problem with rotation support in the kernel. Try to suspend and resume to see if that makes it work. If so, I’m afraid we’ll need for the upstream kernel to fix this issue. There seems to be a bug with the system settings. I can’t go back from the display settings to the main settings menu when the back button is in the top left corner of the screen, i.e when the window is full screen. 4. Try to go back using the back button – it doesn’t work. This seems to be an isolated case, I can go back from other component settings but not from the “Display” settings. I tried Kernel 4.4.0-53 and 4.8.0-30, but suspend & resume don’t make it work. Thought screen rotation is supported by the kernel a long time already. Do we have to wait for a new kernel gen? Also another minor bug which I’ve just come across. The sound applet animation doesn’t follow a proper hierarchy when fading out. Hy thanks for this awesome release. Sure there went a lot of hard work and effort into this. The system absolutely flies. Couldn’t be happier. And happy holidays and a merry christmas to all you lovely people. Still some suggestions for future releases. Possible to stop shipping java by default? It’s harzardous and a security risk by itself. Never understood why it’s in by default. Hexchat, pidgin gimp. I understand the mint teams wishes to produce a complete out of the box experience. But for gimp there is already a photo viewer, in my opinion not all users will need gimp therefore bloatware. Same for hexchat and pidgin. Could only be me but on a day to day use. Who needs this? Text is cut off on new lock screen. Also, there is no way to disable the start menu fade out animation and also the tray indicator fade out animations. Hello, I have great respect for your work. I like all of the settings and how the system looks like. But I am very disappointed. After the upgrade from 17.3 to 18 and 18.1 Cinnamon. it began to work very poorly. Everything has become much slower. It is especially annoying is that while dragging windows, the pointer goes beyond the windows by 10-20 pixels. It looks as if the window does not keep up with the pointer. I upgraded from 18 to 18.1 today without a hitch. Everything is working. Tried to verify the SHA256 checksums with GPA (PGP). It said BAD SIGNATURE. I changed the file extension to sha256sum.txt.sig instead of sha256sum.txt.gpg and then it said valid signature! It may be operator error. Other than that, no issues running 18.1 so far. Great work LM team! Even if you disable Nvidia card using nvidia-settings, its not really disabled. dmesg will still shows nvidia driver loaded and powertop shows higher watt consumption. If you logout and login again, and check dmesg, it shows, nvidia driver unloaded and only intel is being used. powertop shows ~5.5w consumption at this stage. Any idea why it is not doing at the initial login ? Did anybody else experience issues with Virtualbox? After upgrade, with Virtualbox in seamless mode my panel is not rendered properly, just black (like this https://forums.linuxmint.com/viewtopic.php?t=223779). Also, the top Virtualbox bar is now in my main screen rather than over the Virtualbox screen. One problem which was in 18.0 as well will not wake after suspend – screen wakes then turns off and no way to get it on unless I reboot. Running MacBook Pro 2013 Retina, this worked with no problems in 17.3 is there a fix? I have auto-login on and turned off password in screen saver and still no love. I have installed Zorin OS 12 until a fix comes please help. Same problem as Miguel Lima (#67) in that my panel is not working – it displays but I can’t select anything on it, and when I try to add new panel can’t select the position etc. Tried removing “window-list-with-grouping” applet to see if made any difference but still the same. i was really hoping to get this bug fixed on the new cinnamon. Same problem as Miguel Lima (#67) and Dzinja (#100). How to fix? 5 years of spicy Cinnamon! Happy anniversary, Clem and all developers, helpers etc. around you! I’m glad I checked this out and used it from the very beginning to make the Gnome Shell disaster forget (https://forums.linuxmint.com/viewtopic.php?t=89411). Lovely update, love every aspect, super snappy and way quicker. However, I keep having issues with cinnamon, after X point (unsure what cuases it, could it be the window list and grouping applet?) the panel and hot corners do NOT work at all, they all respond as if one were right clicking the desktop. I noticed the mint menu seems a bit sluggish with the new animation compared to other menus. If this isn’t just my problem, it might need some tweaking. A fresh install of LM 18.1…no major issues except that browser embedded Youtube videos don’t appear in any of the browsers that I have (Firefox, Chrome, Opera). Even at the Youtube website, I am not seeing any video preview grid…only text and none of the videos are playing at the moment. I just checked and I do have the latest Shockwave Flash plugin (v24 from Adobe) installed and activated. Please help. Seems cinnamon panel freezes with an applet “Window List With App Grouping”. I removed all aplets using restore to defaults option now it’s work but after add any applet it stop responding. Edit by Clem: Remove the Window list with app-grouping applet, it’s known to create issues. I love the new screen saver and lock screen! WAY more responsive and WAY WAY better than the old one!! I use this feature all the time at work and it is works awesome! Thank you Dev team for taking the time to make this MUCH needed improvement. Found a bug. here is how to reproduce. 1) Log in with your regular user. 3) on the lock screen, press the icon next to the pathlock (the one with the to persons on)I guess it means swtch user. 4) In the login window you’ll get log in with the same user you’re logg in with at point 1. 5) When the screen unlocks go to system monitor (gnome-system-monitor) and choose processes at the top. There you’ll find that the process cinnamon-screensaver-pam-helper is now taking up WAY too much CPU-resources. And it will stay in this state until you manually kill it. On my rather powerfull i7 desktop computer it eats up 12% cpu. Un my laptop that is slightlier less powerfull it eats up as much as 25%, heats up the system and makes the CPU-fan go crazy and drains the battery fast. Other than that, great work as always. Thank you so much for this great operating system. Edit by Clem: Thanks for this, I can reproduce it and we’ll get it fixed. USB booted fine, I did some checks against the 64bit problems (posted earlier) and then started to change the desktop to my preferred Theme and colors . . . oops, all application and dialogs are now transparent! Can barely see them against the background image, but not clear enough to go back and reset anything. Oh well 17.3 it is. Just to report that I have one optimus notebook with new install of mint 18.1 w/cinnamon where sometimes it stucks *after* login screen (background is black, cursor is visible and can move though). Switched into console and noticed watching top command output that something is eating ram and swap memory very fast. Yes, it eat all ram and all swap in a just few minutes and system stayed unresponsive. Killing cinnamon-settings-daemon pid helps, eating ram stops and one can login successfully after that. How can I help myself and you to debug this ? What logs are of interest? Edit by Clem: Hi, it’s a bit tedious, but you could try and identify which plugin is causing the issue. You can disable/enable plugins via gsettings. For instance, “gsettings set org.cinnamon.settings-daemon.plugins.orientation active false” would disable the orientation plugin (which is one of the ones that were modified in 3.2). You can see a list of changes since 3.0 at https://github.com/linuxmint/cinnamon-settings-daemon/commits/master, and you can see the list of plugins by pressing tab twice after typing “gsettings set org.cinnamon.settings-daemon.plugins.”. Also, for the orientation plugin, can you try and install iio-sensor-proxy and see if it makes a difference? I am glad for a lot of updates, but this one gone bad, whole panel not reacting, so is there any way to downgrade or fix that? Edit by Clem: Disable the Window List with App Grouping applet. With all due respect… why the hell I can open an infinite amount of “Network settings” (or any other settings) panels? I have seen this bug over and over and over since the very first release of Mint. Edit by Clem: Hi Robert. With all due respect, why do you? You can argue that this app should be a singleton (i.e. only have one instance) and you’d probably be right. I don’t really get why you’re so annoyed about it though. Just ask, there’s really no need to react like that. Upgraded from Sarah on Monday. Now 2 days later everything still works 100% without any hitches. Yesterday also replaced Windows 8.1 for a friend with 18.1 and cannot tell you how happy the guy is! What a great OS. Thank you and please keep up the good work! I think old applications menu looks better (with arrow & little margin from screen edge). New style is hardcoded or can be tweaked through an option? Clem: once in the past I opened the network settings twice, and noticed how I could open as many as I want. I keep hoping this will be fixed one day, but release after release it keeps happening. Why am I so annoyed by it? Because if you try something similar using windows 3.1, surprise, it does not happen. Attention to details is something Linux need to succeed on the desktop. KDE 5 does not have this issue, same as Gnome shell on Fedora 25, they both correctly give focus on the instance of the settings panel currently opened. Incidentally even modern releases of Windows prevents you from opening 100 instances of the control panel and I do not see why Linux should lag behind in this instance. Edit by Clem: Hi Robert, it will keep happening until somebody changes it. You would have had greater chances of seeing the devs work on it if you had reported it during the BETA, or during the dev cycle on github, but your report here on this blog is already miles better than the many years of silent hoping you’ve been doing beforehand. So thank you for that. Hopefully one day we’ll have that little thing fixed and we’ll be able to remain proud next time somebody compares us to the awesome networking support of Windows 3.1. Why is there only solution to remove Window List and there are also people which tried that unsuccessfully? By the way I think that Window List should be integrated as main in Mint, people needs more innovative OS, becouse of that so many uses Window List applet. Please consider that and also try to fix that. Othervise I had to move on, becouse from last update mz NTB is nonworking and I am now using older version from USB drive. Are you aware of any memory leak issues with 18.1? Upon a fresh boot Sarah 32bit cinnamon uses about 400Mb of RAM but Serena uses over 700Mb. Thanks, everything else looks great. Edit by Clem: There was a big one in cinnamon 3.2.5, fixed in 3.2.6. We’re still chasing a small leak somewhere in the way we handle popupmenus. Have to agree with comment 118. If it is possible to open the same window(s) more than once, it will just cause confusion. Which one to use, you may change settings in one window – save it – and then close a previous identical window without the settings and it will wipe your settings. In general – having just ONE window per ONE item open JUST ONCE, makes technology easier to use. I concur with n°84, n°75, n°61 and n°111 that (using 32bit release) the unlock login does not work as expected; it requires a click on the users icon to restore a “conventional Mint 17.3 login screen. I have freshly installed 18.1 after using 17.3 and find the system runs really nicely. Well done. Except for this little login glitch. Thanks. Thanks for reply Clem (123). I am using Cinnamon 3.2.6 but memory usage when idle is still over 700Mb when idle. Seems like a huge increase over Linux Mint version 18.0 which is uses about 400Mb for me. Not sure if anyone got the same issue with me: the 8-core i7 now become a 1 core in both system monitor and /proc/cpuinfo. And the fan keeps running crazy, while my system become jagged. Looks like Coverflow was fixed. I can’t be 100% sure, but I’ve been using it for a bit and I haven’t encountered any monitor freezes yet. Style breakage is a bit of an annoyance, but a minor one at best, great job once again on another lovely update. Can I request that at some point the default Window List be improved? Being able to toggle on app grouping and/or icon only display would be lovely. Clem, thanks for the sarcasm. That’s exactly why the year of Linux on desktop will always be around the corner. Edit by Clem: You’re welcome Robert. I agree with your report and I hope it will get implemented. Next time you report something, just say it though. There’s really no need to dress it cheaply like this. I had to look up a screenshot of Windows 3.1 to remember how old it was and how insulting your comparison was supposed to feel. There are thousands of issues to work on, this one is what we call a paper-cut. It still deserves attention but it certainly shouldn’t need drama. Clem, resorting to censorship doesn’t do you any good. Updating from mint 18 to 18.1 does not unlock after screen is lock. Please add app grouping to the default Window List now that the applet for this is broken. Edit by Clem: We’re considering it. We’re also considering getting involved in the maintenance and development of 3rd party spices. 18.1 can’t play video in firefox out of the box, back to version 18.0. This is not fine, verry bad. Edit by Clem: Hi Leo, please make sure to install the media codecs. I personally don’t mind multiple instances of the settings dialog, because it gives me the flexibility to edit more than one different set of settings at once. TIP: If you don’t want lots of settings windows open, don’t click the launcher multiple times! I want to install Linux Mint 18.1 on my HP envy 13 the last version.But my laptop fail to recognise my USB driver,but it is OK when I install Ubuntu 16.10.I wander anyone else has the same problem with me? Edit by Clem: They use different kernels. Check in your BIOS settings to see if there’s anything that could affect USB as a workaround. Great work, cinnamon runs with cairo-dock (fallback mode) and is great. Some bug with video: Crashes/freezing with vlc and under virtualbox/Nvidia. Also the menu-items of vlc/xplayer are hidden by the running video. If mint is running in rendering mode (no 3D accelaration) these errors dont occur. On Linux Mint 18.1 Cinnamon 32-bit the “Lock Screen” is unresponsive. It does not log me in on clicking on the lock icon. This error occurs on the 32-bit edition only. Please fix this. Everything else works fine. On my old Packard Bell flash and pepperflash refuse to work. Both on Firefox, Chromium and Chrome. As I need to use flash, I changed to Ubuntu. No problem there. Edit by Clem: Did you install the media codecs or if not, how did you install Flash? I also want to say it might be useful to use multiple instances of the settings dialog. I would leave it as it is. This is more a question of style rather than an issue. Edit by Clem: You’ll still be able to launch multiple instances of the settings with different modules, but for the same module it would be nice if they acted as singleton. Hi Clem, thanks, it working now. I installed during the fresh install. Both flash and pepperflash are shown in Synaptic as installed. On http://www.nationaleloterij.be we were asked to install adobe flash. While on nl.pog.com the flashgame loaded, but did not react on the controls of the keyboard. Flashproblem solved. I must have had a problem during install yesterday. Installed again, but this time with a verified iso. Yjis time flash works like never before. This distro deserves a golden statue. Merry Christmas and a happy New Year to all users, all supporters, the Miny yeam and Clement. Do you think you could make MintUpdate update during install? It just always seems odd to me if you’re connected to the internet during install, that it doesn’t update updater. Installing Mint always has three steps, installing system, updating MintUpdate, then installing updates. Hi Anthony, there is an advantage in updating after the “complete” install: You could first switch to a local server, so updating is much faster. Now I install media codecs afterwards also, to get full download speed. Installing to VirtualBox, 18.1 will not boot on Dell Laptop, but Slackware does. Same Mint ISO will boot in VB on different Windows7 box. Really like the O.S. I’ve re-installed several time on both boxes just to check. Both boxes are Windows7-64bit and both VB’s are 5.1.10. The Dell is BIOS, the one that works is EFI. i’d still love to see KDE connect integrated in cinnamon because it’s all kinds of brilliant and the indicator workaround just isn’t the same. window grouping really needs to become a thing too. Thank you for the latest release (I’m writing this on it), however there appears to be a couple of problems, which are stopping me using it in a live environment. I am running LM 18.1 64-bit Cinnamon, plus additional software of x11vnc & xrdp. a) The machine (bare metal) is not remotely accessible unless there is a monitor attached, the same was true of 18.0, most of my machines normally run completely ‘headless’. However 17.3 had this nailed and thus my machines have to remain on this release, at least for the moment. b) Now and then, usually close to a start-up, Cinnamon reports crashing, giving a choice of restarting it or not. Restarting it does not work either, a re-boot is necessary to restore normal running. I have no idea whether these two issues are related but I’m hoping you do! How did LM 18.1 end up with the 4.4.0-53 kernel? I was expecting 4.4.0-31. Is 4.4.0-53 as solid as 4.4.0-31? This is my favorite system in this big universe of OSs. The most of people answer me if I have the ISO of this system and I give the Mint 18.1 for all. Side panels in Cinnamon 3.2? Thank you. Updated Cinnamon a few days ago. I love it. Works flawlessly. But I mainly use XFCE. Please, when will XFCE update be available? After the lock-screen fix everything works flawlessly. Love all the new features. The lock-screen is especially delightful to use along with the ability to control the music directly from the lock screen without having to unlock it. Overall, I love the new release. Thank you for making this wonderful distro. 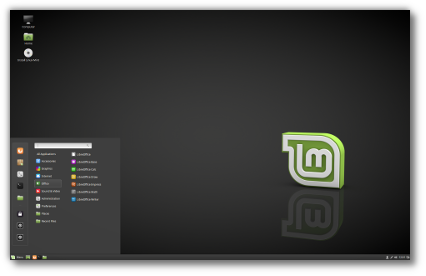 Thanks to the team for the fantastic Linux Mint! However, the 18.1 Cinnamon Live DVD doesn’t work for me. Everything seems to boot as normal until X startup. Then I get the mouse cursor and a black screen. I can then CTRL-ALT-F1 to console. Login with ‘mint’ and no password. Very long delay, but eventually gets to the prompt. Examined /var/log/syslog, shows a bunch of services failed startup (including logind, but also thermald and NetworkManager). I am booting without a network connection (no wire where I am, and wifi is obviously not configured. I’m using Linux Mint Cinnamon in the last years on my computers. This is a great operating system. I installed the 18.1 Cinnamon to my laptop. I become 2-3 times from 5 a black screen with only mouse after the login screen. In this case is high the SSD activity. Escape from this situation the power button pressing. On the internet I see this error with 17.x Linux Mint also but only with nVidia or ATI video cards. My video card is an Intel Graphics HD 3000. I reinstalled three times but no changes. Once the live dvd is produced the blank screen after auto login. I’ve been a faithful user of Linux Mint for the last 9 years.. Clem and team, Thank you so much for your efforts.. I love the Cinnamon Desktop, but have been unable to implement it since version 17.. After the login screen I just get a black screen with a moveable cursor. Kernel 4.4.0-57 seems to have fixed my erratic shutdown delay. I’m using Linux Mint Cinnamon in the last years on my computers. This is a very nice operating system. On my Dell Latitude E6420 laptop the LM18 and LM18.1 isn’t working good. As I see many of users has this problem: often after the login screen I become a blank screen with mouse. In this case the SSD/HDD activity is very high, first the memory and after the swap is running out. This problem is cca 3 times from 5. 2 times I can log in without any error and the Cinnamon is working good. “Edit by Clem: Hi, it’s a bit tedious, but you could try and identify which plugin is causing the issue. You can disable/enable plugins via gsettings. For instance, “gsettings set org.cinnamon.settings-daemon.plugins.orientation active false” would disable the orientation plugin…” – but no changes. My laptop has Intel HD Graphics 3000 – so the many “nvidia driver problem” for the blank screen isn’t my solution. I’m tried Linux Mint 18.1 Mate without any errors – but I want to use Cinnamon. So I think this is a Cinnamon specific problem. As I see on the internet – this problem is not only own. Dear Clem, can you help us? Can you write a patch or something solution for this problem? Due to the below mentioned error/bugs, I had to go back 18 Cinnamon. But: Cinnamon 18.1 leaves a black screen with only the mouse visible (and active). Upgraded from 18 to 18.1. When screen is locked, just pressing a key or waggling mouse unlocks – no password required. Just did a full clean install of 18.1 and behaviour remains. “Delay after locking” is set to lock immediately. I guess this can’t be widespread. Very odd. I completed a fresh install of Linux Mint 18.1 ( after backing up my home directory and config files from 18) and it works great !! Just a question Clem – I have been reading about snappy packaging. While I can definitely see some advantages and benefits of this type of installation option, for the foreseeable future is the option to install software via apt/apt-get still going be available in future editions ? Thanks again for putting together a great distro !!! Same as #164 for me. Lock screen never asks for my password. Just installed 18.1 cinnamon…after login black screen. so now installed 18.1 mate..after login works fine! I just wanted to tell the Dev team what a amazing job you have done! This update runs faster on the same hardware and I not have SIDE BARS! Thank you so much for your time and effort to all involved. Re:lock screen..mine works fine. I’m sure if you don’t set a password for your user account then the lock screen won’t ask for a password. Linux Mint is the best still. Unfortunately reading about too many issues using Cinnamon 18.1 and black screen after login. Have 3 laptops that have the same issue on a complete fresh install after the latest updates. Switching to Cinnamon 17.3 :-(. To users that have this issue and require a stable production version the advise: use Cinnamon 17.3 until this is solved. many problem in cinnamon 18.1 – slow boot – black screen in starting – battery indicator and percentage not show – battery drain fast . It’s running pretty nicely with persistent live USB, solving some glitches with 18.0, but I’m in a quandary about installing to the HDD on three machines that still run Mint Cinnamon 17.3. I’m in no flaming rush for the OS or DE, only to keep third party software up to date. I intend to upgrade to Mint 18.x with a fresh install, but have been holding off expecting that support for Snap package updating would probably affect third party software. Since I invest significant time and energy configuring Firefox, GIMP, LibreOffice, etc. after fresh OS upgrades, I don’t want to waste time on an OS iteration without Snap support if that is coming soon. I have no basis in experience and nobody else seems to, about whether it will make any difference to upgrade when Snap is implemented. Is Snap support coming in Mint 18.x or should I just go ahead and upgrade to Mint 18.1, for the latest repos for my third party software? Otherwise I’m happy with 17.3. Been using Mint 17 for almost a year, upgraded to 18 everything fine except for new bluetooth tool, when I turn bluetooth ON it disables wifi connectivity, it’s still connected but cant use the web, wifi goes back to normal when bluetooth is turned OFF using it on a lenovo g50-70 laptop. Could not get any info on the web, any clue? Was Mint Cinnamon and MATE tested on Nvidia Optimus hardware prior to release? Reason I am asking, is because it is the first ever version of Mint that I am having difficulties with on this laptop. Install goes as planned, until I get to Nvidia drivers. After the reboot, the prime-applet does not show at all. The Nvidia drivers is ‘incomplete.’ It does not show the settings as per normal. Best way to describe it – When you install Bumblebee and click on Nvidia settings, you only see a portion of the settings. When you run Nvidia settings through the terminal, you get the complete settings. Basically it comes across as if I have installed Bumblebee instead of nvidia-prime. I have tried both Mint Cinnamon and MATE 18.1 on the same laptop, both times the same result. I then installed Mint 18 and upgraded to 18.1 and that works without any issues. So, the issue for me only lies with clean installs of Mint 18.1. I have never ever experienced this before with Mint, so don’t really know what else to say? I have a Lenovo Z570 laptop with Nvidia Optimus. Nvidia card is GT 520M. Kernel version, linux firmware etc. was all the same on both versions of Mint. The only difference was Mint 18 and Mint 18.1. Any other users experienced something similar? Any feedback would be greatly appreciated. I really don’t understand why this is happening? Edit by Clem: Hi Jacques, yes it’s always tested and we bought hardware specifically for that. Please check the release notes. The current situation is that you need to reboot after installing the drivers, then log in, then log out and log in again. After that first reboot/logout sequence, the driver should function properly. I upgraded to LM-18.1 Cinnamon. Love it. However the LM-18.1 ISO file has some issue according to Gparted, it is somehow corrupt. Please look into it. Edit by Clem: You can check the integrity and the authenticity of the ISO by following the steps at https://linuxmint.com/verify.php. I do not know whether there is a relationship but the notifications isn’t showing on the login screen after the screensaver package upgrade. I wish you and your team a happy new year! Edit by Clem: Thanks and happy new year to you too. What notification? @179: I’m using Zimbra webmail surface. On the Firefox browser tab the Zimbra show the unread messages number. This number was shown on the login screen. Once I saw on the login screen a media player information but I can’t reproduce now. I didn’t remember this media player was the VLC or the Xplayer or maybe a Firefox embedded MP3 player. Edit by Clem: Oh.. you mean the unlock screen. Sorry, I thought you were talking about MDM. Yes, the screensaver supports notifications and media playback. It should work for any MPRIS compatible player and any notification on the system (it only shows the number, not the content.. and that’s the number of notifications, not the number of unread emails). Having a minimum screen resolution as a “system requirement” seems to be my only hassle – it doesn’t fit on an HD 1280 x 720 tv screen. There are some minor annoyances. Installed this over the weekend, in parallel to my 17.3 system, so now dual-boot. Both are using Cinnamon. There’s regression in the bluetooth behaviour on 18.1. Having (re)paired with my Android phone, I can’t send any files from phone to PC. Also when I use the PC as an audio device, it connects and works but the audio keeps dropping out, like the bandwidth is limited. With 17.3 on the same PC, I have no problems with either transferring files nor playing perfect audio. Also with bluetooth ‘on’, the cinnamon process rises to the top of the CPU usage, taking around 25% total across 4 cores. When I turn off bluetooth, the usage drops back down to about 0.17% for cinnamon. There are other niggles (slower boot time, slower internet, thunderbird ‘pausing’ when being closed), but I’ve not got any specifics yet to report. These issues are with both kernel 4.4.0-53-generic and -57. This PC is has an Asus P8Z68-V mobo with a SandyBridge i5. On my laptop (Dell XPS13 2015), 18.1 and the bluetooth is working better. Audio sometimes drops out, but it seems rare (I’ve only just done this with the laptop to test it). Cinnamon CPU stays at around 8%, dropping to 0 with bluetooth off. Sending a file doesn’t work though, but I’ve never tried it before with the laptop, so don’t know if this is a new issue. I’ve been using Linux Mint for a very long time. I recently upgraded (through the Software Manager) to version 18.1, from version 18. Everything went well, and I have all the update levels turned on, so I even get kernel upgrades. You guys have all reached such an amazing level of technical perfection with this. Each upgrade is like a new Christmas gift. Thanks to all for your tremendous efforts and accomplishments. It’s a great ride. Linux MInt 18.1 MATE looks & feels great, have been a LM fan since version 7 (Gloria) & still use the raindrop wallpaper, it’s ageless & still looks great 7 years later! My PC runs good, uses a bit more RAM, the only negative thing, if there’s one, is there’s about 30 seconds of nothing except a black screen, then I can login. Considered downgrading the NVIDIA 375 drivers from PPA, but that may change a lot of installed packages. The first PC that I upgraded didn’t do like this, but it’s dual booting Windows 7 & LM 18.1 in CSM mode, this one is in Full UEFI mode, dual booting with W10. – Impossible d’imprimer plus de 6 pages sur une imprimante réseau sans recevoir un message d’erreur et l’arrêt de l’impression. – Un disque dur SATA placé dans le berceau du lecteur CD se monte automatiquement, son icône est neutre, elle n’est ni celle d’un DD SATA, ni celle d’un DD USB. Puis, au lieu de la commande démonter il y a la commande éjecter suivie d’un message d’erreur si on l’emploie. Tout cela ne se produit pas avec 17.3. Mes ordinateurs sont des DELL Latitude E6410 en réseau SAMBA. Je n’attends pas de réponse. Je souhaite simplement être utile en signalant les défauts que je remarque. Bien à vous. Claude Robert-Tissot en Suisse. Thank Devs for all your efforts. please when will other mint Y themes be released? Same here on all LM 18.x Cinnamon PCs. I guess it is systematically. suspend. I have to wait a few seconds before it catches up again.